Mark vital areas of your building with fire exit signage. Our emergency signs prepare your staff and visitors for the potential of fire by marking where fire extinguishers are, along with emergency exits. 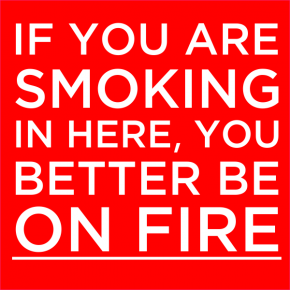 If you work in an industrial setting exposed to combustible materials, such as a gas station, you should also have a custom no smoking allowed sign or decal. Help avoid the dangers and potential injury caused by fire with appropriate signage. If you don't see the emergency sign you need here, email our team or call our customer service number for assistance.